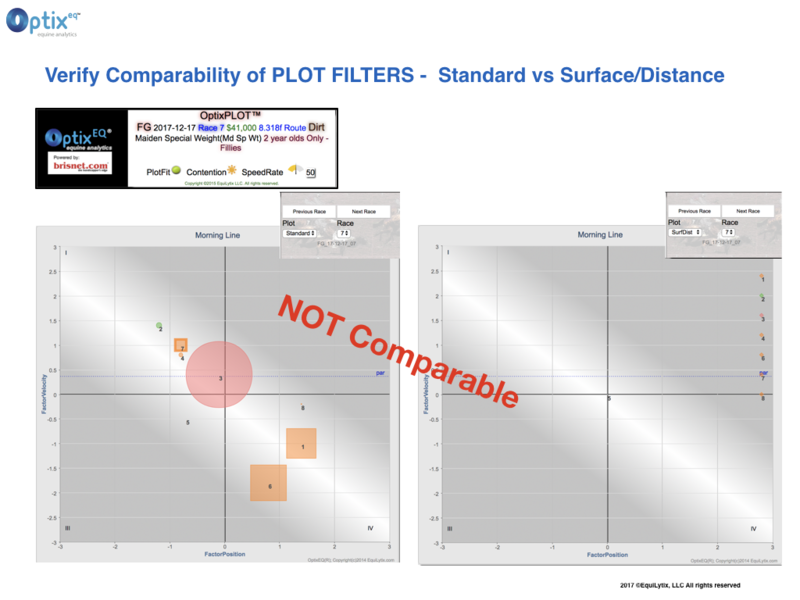 One of the keys to improving your PLOT selection is choosing races w/ comparable PLOTs for Standard and Surface/Distance filters. 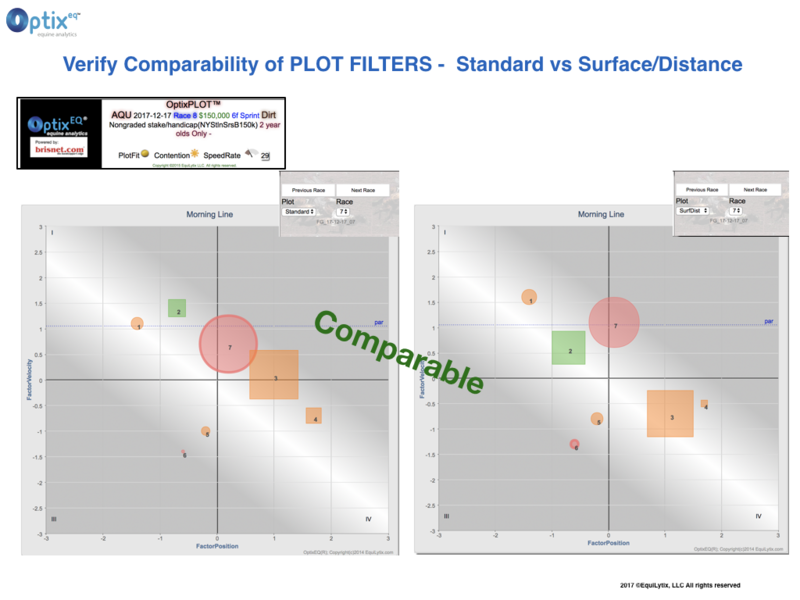 OptixANALYST SPOT PLAYS is NOT a tip sheet. It is NOT sold. On weekends, and from time to time, SPOT PLAYS is provided free to OptixEQ subscribers ONLY. 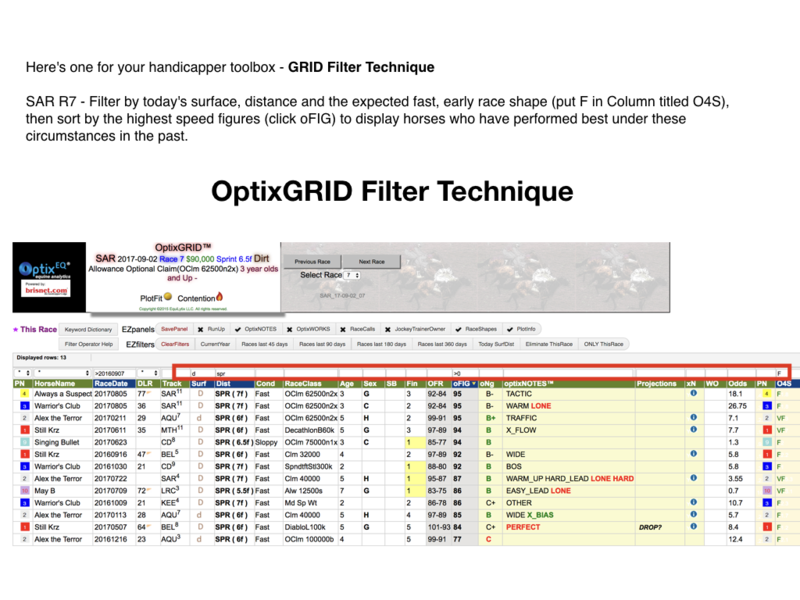 It is intended as a guide for interpreting and applying OptixEQ products to your own handicapping process. Hard to Interpret – Data might be incomplete, i.e First Time Starters or Horses with Foreign form. Could also be attributed to field changing distances, lacking recency or trying a new surface for the first time. 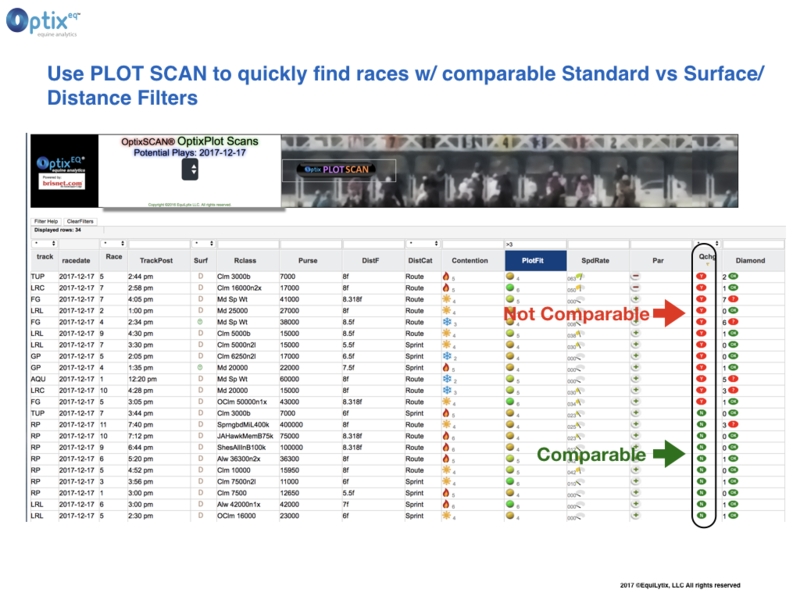 Legit/Vulnerable Favorite – OptixPLOT output is either positive or negative on the post time favorite, i.e. 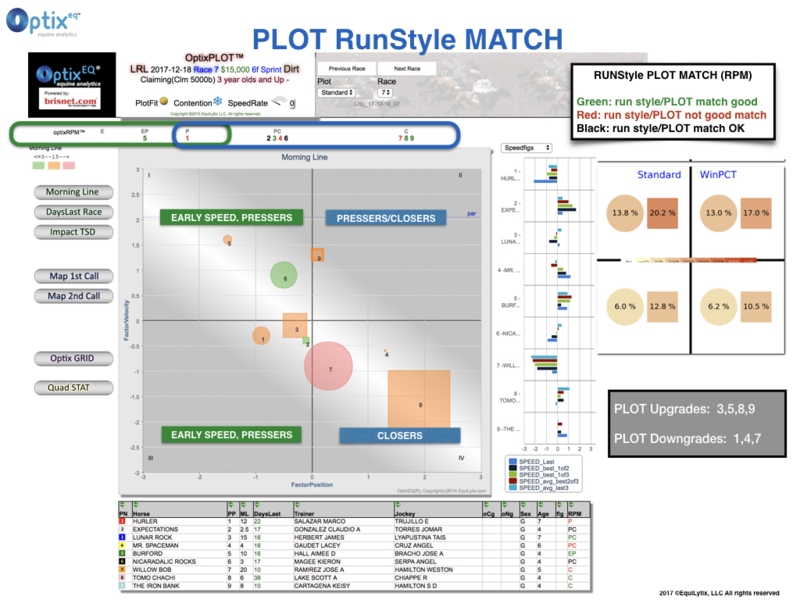 pace flow, PLOT/run style mismatch or unfavorable Quadrant/Shape for track/surface/distance. Stalk/Pounce – No dominant speed or lone closer type, the stalk and pounce will generally be a medium or large square in close proximity to the front-runners. Off/On Pace Flow – Pace flow favors a particular run style. An off pace flow will be a circle crowded Quadrant 1 with large squares in Quadrants 2 and Quadrant 4. A relatively light Quadrant 1 will reflect a pace flow advantage in favor of early pace types.